Skin (head): Severe multifocal to coalescing nodular hyperplasia with ulceration. 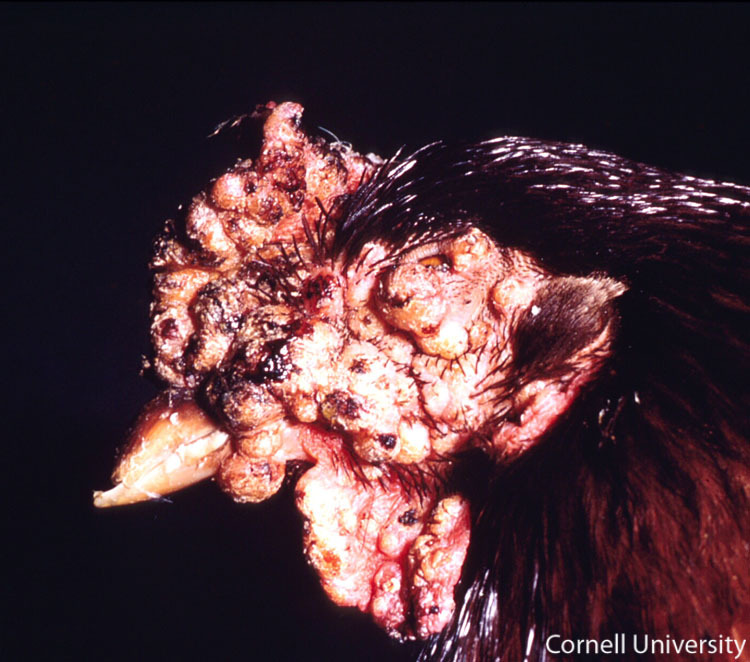 This image depicts diffuse large nodular lesions on the entire head area. The skin of the entire head is covered by multiple, coalescing nodules that impinge on the nares, mouth and eyes. The nodules are pale yellow to tan and many of them are covered by crusts of blood and serum.